The H Factor: Hey Listeners!! Let's Stir it Up and Hear What's Buzzin' in Huntsville ISD with Brooke Addams and Shannon Duncan!! Hey Listeners!! Let's Stir it Up and Hear What's Buzzin' in Huntsville ISD with Brooke Addams and Shannon Duncan!! In Spring 2011, Huntsville ISD mom Brooke Addams had an idea. Why not combine the work she adores with the School that she loves? You see, Mrs. Addams is a KSAM/KHVL radio personality, station operations manager and a Proud Hornet mom. Brooke and Shannon on the mic, stirrin' things up! So she teamed together with Huntsville ISD's Director of Communications, Shannon Duncan, to create The Hornet's Nest, a weekly radio show about all things buzzing throughout the District. 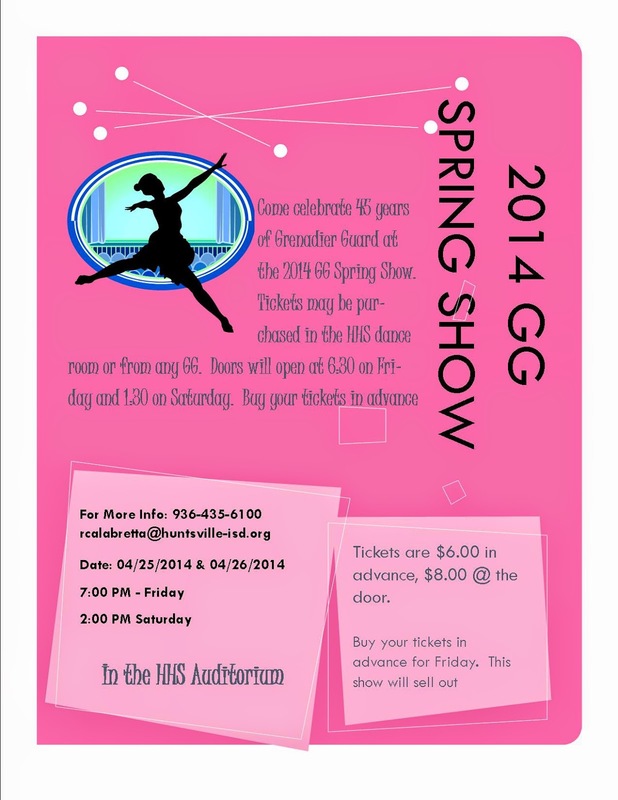 This week's show covered events such as the upcoming 2014 Grenadier Guard & Dance Spring Show. Huntsville High School Seniors, GG's and Dance IV Students Savannah and Kayla. They choreographed and directed one of the pieces in the Spring Show. Performances are in the High School Auditorium on Friday 4/25 at 7:00 p.m. and Saturday 4/26 at 2:00 p.m.
Tickets are $6 in advance, and $8 at the door. All proceeds support the program! The weekly radio show is produced throughout the school year and is generously supported by Wiesner Chevrolet. Each week, listeners can tune in at 3:10 p.m. on Wednesdays and get timely news and information. Subjects vary, but always focus on district and or campus activities and pertinent community items. Erica (Dance III) in all black, Raven (Dance III) in grey sweatshirt & Sheridan (GG and Dance III) in front. Brooke Addams: Radio Personality, Radio Operations Manager and Proud HISD Mom! Aren't near a radio at that time? Then you can check out the recorded version here on our District website. As you already know, 101.7 KSAM is the source around here for "Today's Country and All Your Favorites," and that its partner station 104.9 KHVL plays "Real Music from the 60s, 70s and 80s," but this weekly news show exemplifies the station's slogan, "We Don't Just Talk About The Community, We Are a Part of It." at the new Hornet Field, courtesy of Wiesner and First Financial Bank. they really are the "Dealership that Cares." Look who we ran into the station- the Voice of the Hornets, the man himself, Kooter in Your Radio...Kooter Roberson!